SunBody Hats: How do you SunBody? ANNOUNCING: The winners of our August 2013 "How do you SunBody?" contest! Thank you to everyone who submitted their photos and stories for our August "How Do You SunBody?" contest! We had a fantastic response and really enjoyed browsing your photos and seeing our fabulous hats in action! Here are your August 2013 Winners! Congratulations! 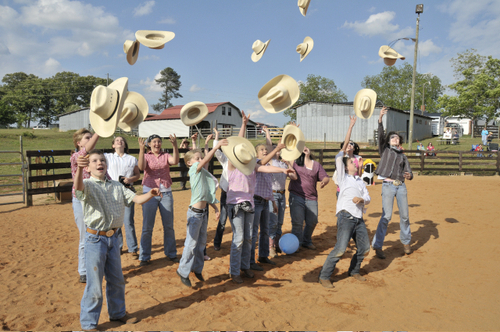 They will receive a SunBody hat of their choice! Congratulations to the winners and a big "thank you" to everyone who participated! Winners will be contacted via email on how to claim their free SunBody hat! Keep sharing your photos and stories on our Facebook Page and look for our contest to start up again summer 2014! Vote for the August "How Do You SunBody" Photo Finalists! We've wrapped up our final "How do you SunBody contest of the year." Every entry was special and we had such a difficult time chosing our favorites to enter to finalists! Thank you so much for sharing your SunBody photos and stories with us and the rest of the SunBody community! Without futher adeu, here are your finalists! We will select 1 adult winner and one child winner to receive a free hat of their choice! Click on this photo to see the finalists then type your vote into the comments section below this post. Vote for the July 2013 "How do you SunBody?" story contest HERE! We're mixing things up this year by adding a "best story" category to our "How do you SunBody" contest. We've chosen our top 5 but we need YOU to help us choose the winner! One lucky winner will be chosen to win a free SunBody Hat! Vote for the June 2011 "How Do You SunBody" photo contest! We've received tons of fantastic entries in this summer's "How Do You SunBody?" photo contest, ranging from kids to adults. As we said at the beginning, we'll have two winners each for May, June, July and August. Now we need your help to pick the two June winners! Please go through the many stellar entries here in our photo gallery and let us know which of the finalists you think should win a free Sunbody hat. We'll close voting July 19th, and announce the winner a few days later. We'll have two winners: Best Baby or Child Photo, and best Non Child Photo. Vote for the May 2011 "How Do You SunBody" Photo Contest! Now we need your help to pick the two May winners! Please go through the many stellar entries here in our photo gallery and let us know which of the finalists you think should win a free Sunbody hat. We'll close voting June 19th, and announce the winner the week of June 20th. We'll have two winners: Best Baby or Child Photo, and best Non Child Photo. If you have submitted a photo and you don't win this round, we will be giving away two hats for June, July, August. You're still eligible for the next three rounds. Submit your photos if you haven't already. Show us how you SunBody and TELL US ABOUT IT. The stories help make the pictures.Cast your vote by leaving your comments here! How Do You SunBody? - 2011 Contest Begins! Tell us how, where, when or why, you use your SunBody hat! We welcome essays, pictures, and even videos of you showing off your SunBody Hat on your horse, at the beach, at work, cookoffs, parties, in the garden, on vacation, YOU NAME IT! We'll post your picture on our blog AND GIVE YOU $10.00 OFF YOUR NEXT ORDER WITH US, JUST FOR ENTERING! This contest is all about you! We invite you to get out the camera, and put some of your best memories of you and your SunBody in writing and send them to us. We accept all entries via email. Please send your entries to: photos@sunbody.com.WITH YOUR PHOTO SUBMISSION! with the subject line: "This is how I SunBody"
Please submit photos at least 200x300 pixels or larger. Here are a few of the entries. You can see them all in the gallery on top of the right hand column. All photos, videos, and text submitted becomes property of SunBody Hats®. we may publish all submitted entries electronically, or otherwise. I bought a great Sun Body cattlemen's hat when I was in San Antonio last week. Now that I'm home in the cold, wet Northeast, I probably won't wear the hat on a regular basis until the sun returns in May. All winter long, of course, my house will be heated and the humidity will be very low. Will that affect the hat in a negative way? Any ideas on how I should store my hat over the winter? Thank you - and I love my hat! I often travel to New England around Christmastime. Someone told me that people there switched to wool and felt hats in the winter. Looking around, however, I saw that most people weren't wearing hats at all! We have customers in Idaho that buy and sell and wear palm leaf hats year round, including winter months. I've had cowboys from Montana tell me they prefer their palm leaf in wet winter weather to a felt hat because it will shed most of the water, whereas a felt hat will soak it up and become very heavy. So, why not wear it in the winter? As far as the dry heat goes, the hat will be fine. However, it will likely dry out and become brittle. To freshen it up and restore flexibility before using it, I suggest getting it wet. You can spray it with a bottle, hold it under a faucet, or dunk it - whichever is most convenient. How are you using your SunBody palm leaf hat now that the days are cooler? Help Us Choose Our Contest Winners! This year we received so many submissions we are calling on YOU, our customers to help us decide. We are going to award 1st place with the opportunity to choose ANY hat from the SunBody catalog! 2nd place will receive a $50 gift certificate to SunBody Hats! 3rd place will receive a $25 gift certificate to SunBody Hats! We look forward to your input - and we thank you for your continued support! Casting your vote is easy. Take a look at the finalists photo gallery (click on any of the above images) and submit a comment in THIS BLOG ENTRY. There should be a white space below for comments. If you don't see it, click on the title for this entry and look again. Tell us the NAMES of your TWO favorite photos and why you like them. This blog entry is dedicated to our finalists, and we gladly welcome your top picks if we may have missed one. You can see all the entries in "2009 How Do You SunBody Contest Gallery"
Take a moment to look at each photo, and read the stories behind the guys and gals in their SunBodies. THEN CAST YOUR VOTE IN THIS BLOG ENTRY. Your friends may vote too. Simply pass on the link. SunBody Hats is proud to announce the return of our, "How do you SunBody?" contest. We are giving away a free SunBody hat to the winner of this fun contest! This contest is all about you! We invite you to get out the camera, and put some of your best memories of you and your SunBody in writing and send them to us. We accept all entries via email. Please send your entries to: Scott@Sunbody.com WITH YOUR PHOTO SUBMISSION! with the subject line: "This is how I SunBody"
We received so many wonderful photo's this year we couldn't pick just one. This year SunBody Hats annual "How Do You SunBody?" contest has two winners. 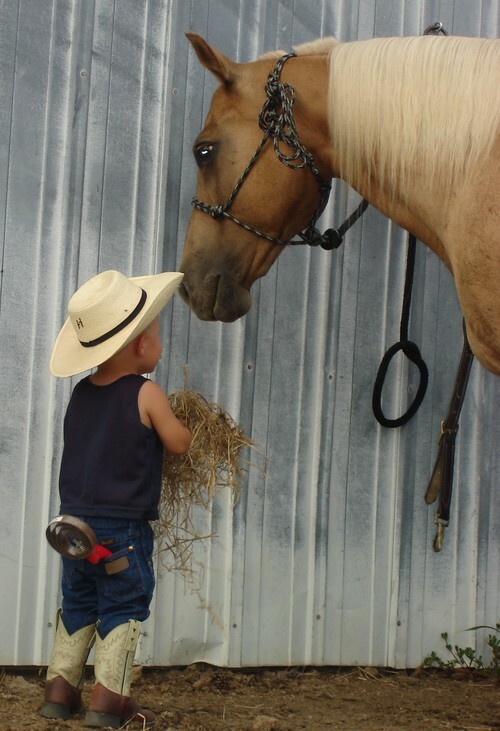 Tammy sent us this picture of her son Ethan feeding their horse, Blondie. We want to thank EVERYONE for entering, and be sure to take a look at ALL of our contest entries both this year and last year. It's NOT TOO LATE for you to send us your picture and receive $10 off your next SunBody Hats order. We love getting pictures from our customers, so keep your photographs and testimonials coming!